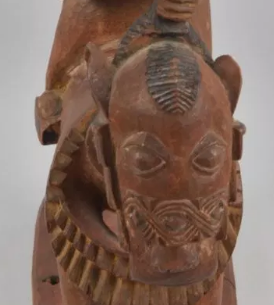 The Lagos State government has asked the British Museum to return the Lander Stool, believed to be the first object taken from the country during the colonial period, artnet.com is reporting. The historic wood carving was taken from Nigeria in 1830 by an English explorer, Richard Lander. 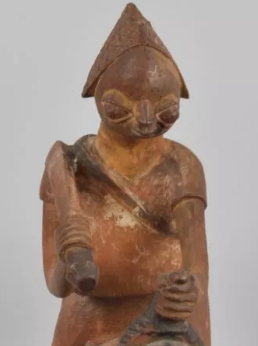 that the item would go on display in the redeveloped John K. Randle Centre of Yoruba History and Culture, due to open in Lagos later in the year. The Lagos State Commissioner for Information, Tourism & Culture, Steve Ayorinde, explained that the centre, which will be “a befitting home” for the artefact, is nearing completion in Lagos. The Lander Stool, which is currently at the British Museum, would be a focal point of the exhibition of the centre when it opens later in the year. Speaking at the British Museum, Mr Ayorinde said the Lander Stool is just the first ‘key artefact’ Nigeria will be requesting. He noted that discussions are also unfolding with the Musée du quai Branly in Paris. “Africa is now taking seriously the need to have befitting homes and facilities and structures that can welcome what we believe will be the beginning of the return of some of the works that are here,” he said.